Dynamic nuclear polarization (DNP) results in a substantial nuclear polarization enhancement through a transfer of the magnetization from electrons to nuclei. 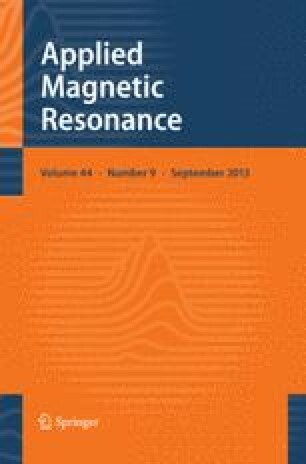 Recent years have seen considerable progress in the development of DNP experiments directed towards enhancing sensitivity in biological nuclear magnetic resonance (NMR). This review covers the applications, hardware, polarizing agents, and theoretical descriptions that were developed at the Francis Bitter Magnet Laboratory at Massachusetts Institute of Technology for high-field DNP experiments. In frozen dielectrics, the enhanced nuclear polarization developed in the vicinity of the polarizing agent can be efficiently dispersed to the bulk of the sample via 1H spin diffusion. This strategy has been proven effective in polarizing biologically interesting systems, such as nanocrystalline peptides and membrane proteins, without leading to paramagnetic broadening of the NMR signals. Gyrotrons have been used as a source of high-power (5–10 W) microwaves up to 460 GHz as required for the DNP experiments. Other hardware has also been developed allowing in situ microwave irradiation integrated with cryogenic magic-angle-spinning solid-state NMR. Advances in the quantum mechanical treatment are successful in describing the mechanism by which new biradical polarizing agents yield larger enhancements at higher magnetic fields. Finally, pulsed methods and solution experiments should play a prominent role in the future of DNP.